Javier A. Soto, president of The Miami Foundation, poses an interesting question in the Opinion section of the Miami Herald and then provides an answer I found persuasive. … how many Miamians see this [cultural side of] Miami — and why does this matter? As the Knight Foundation’s Soul of the Community report has demonstrated, the social offerings of a place — its arts scene, sports events and entertainment options — help attach residents to that place. A central factor in this community attachment is pride. Pride in your place — your city — is an important factor in driving feelings of attachment and commitment on the part of the residents. Once a commitment to a place has been formed, it is much more likely to be followed by an involvement in its civic life. In fact, a recent study by Americans for the Arts found that individuals who develop a pride in their place by participating in the cultural life of a community are three times more likely to be active in other civic activities such as volunteering, registering to vote, giving to charity and helping their neighbor. So by engaging in the arts and other social offerings available in our community — by seeing what our visitors see — levels of civic pride are likely to increase and bring with them an increased level of attachment, commitment and civic engagement. Soto’s entire column is copied in full at the end of this post. This week, Miami welcomes back Art Basel. As one of the foremost art exhibits in the world, for the past 10 years Art Basel has allowed the world a glimpse into our vibrant art scene. As thousands flock to Miami Beach and the Design District to take in our vast cultural offerings, it provides us an opportunity as Miamians to reflect on what it is that these visitors will see. What they — and the 12 million visitors who come to Miami every year — see is an arts landscape that is exploding all around us in ways that are transforming our skyline and injecting creative energy into the Magic City. From the Adrienne Arsht Center to the South Dade Performing Arts Center and the New World Center, guests to Miami view a cityscape being shaped by architecture that reflects our dynamic and forward-looking nature. Upon closer inspection, these visitors witness an arts scene pulsating throughout our city in places like Wynwood, Little Haiti and Little Havana. Combined, the impact of arts and culture in the physical shape of Miami and in the unique expressions of our “Miaminess” leaves our guests with an unmistakable impression of a bold and exciting place. But how many Miamians see this Miami — and why does this matter? As has been documented over and over, Miami ranks poorly when measured against other major metropolitan areas on levels of civic engagement. We don’t vote as much, we don’t volunteer as much and we give less to charity. The Miami Foundation believes that increases in levels of civic engagement are essential to achieve our vision of an economically thriving world-class city. Further, we believe that engagement in the arts can be a key driver in broader civic engagement. 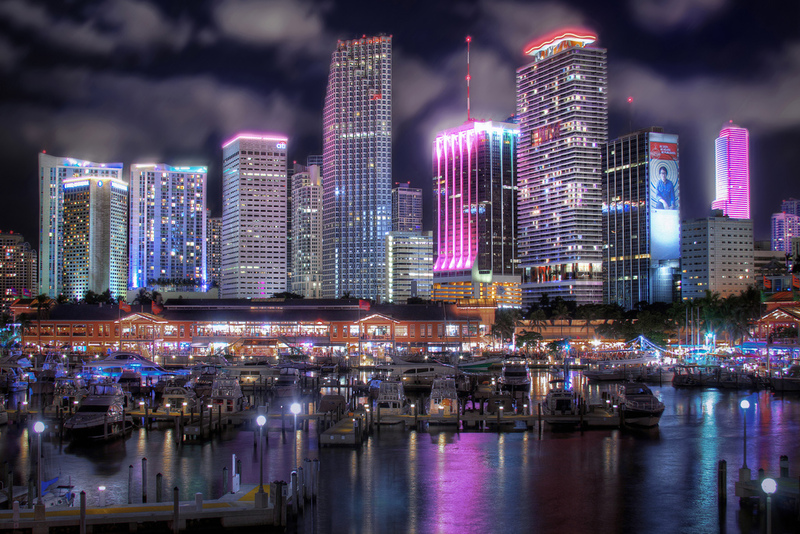 In a community as diverse and spread out as ours, the opportunity to experience parts of Miami that you would not normally see is also of significant value. Art Walk in Wynwood, Viernes Culturales (Cultural Fridays) on Calle Ocho, Gallery Night in Coral Gables, the Coconut Grove Arts Festival and the book fair and International Film Festival at Miami Dade College — along with a number of community art festivals and regular programming in public libraries — all serve to bring residents from every background and every neighborhood together around the arts and culture. They create pride in Miami. Miami’s rich menu of cultural offerings brings visitors here and causes them to develop positive impressions of our city. To create an engaged and flourishing community, it is important that Miamians see what they see. Providing access and encouragement for all Miamians to enjoy our cultural offerings — through free school field trips to the ballet, free outdoor “wallcasts” of symphony performances on South Beach, gallery walks and increased access to libraries — will provide a substantial return on investment by instilling pride of place in our residents. With the energy of Art Basel running through our community this week, we should welcome our guests and join in the celebration of all Miami has to offer. The resulting pride in our city is vital to making Miami a better place for all of us to live, work and play. Javier A. Soto is president and CEO of the Miami Foundation. This entry was posted in Uncategorized and tagged Emmaus, Miami Stories, The Miami Foundation. Bookmark the permalink. Miami Pride! Perhaps that would make a good slogan to stir up a little more pride and a little less whining in our fair city. I’m in – you’re the Chairmen of that committee – what’s next?